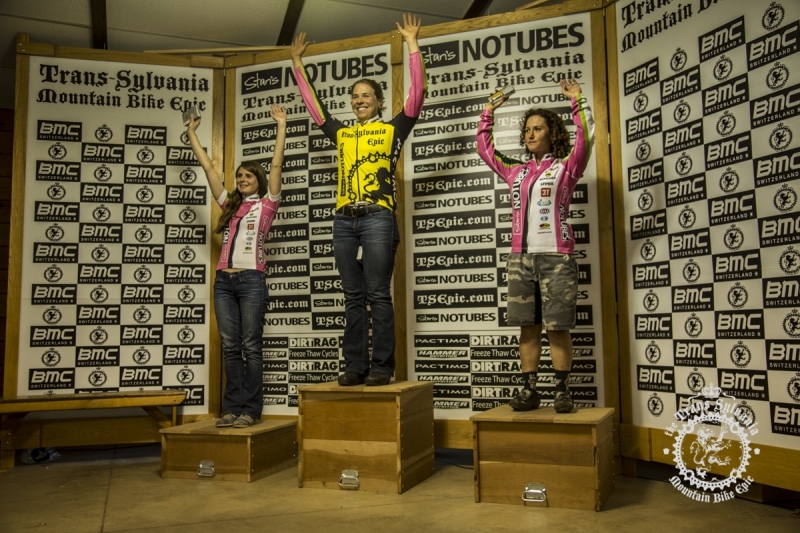 Amanda Carey atop the podium at the 2013 Trans-Sylvania Epic. Photo via Trans-Sylvania Epic. Amanda Carey is Newton’s First Law personified. She started moving (and moving fast) a long time ago and seems incapable of stopping. Since college she’s been a Jackson Hole ski bum, land conservationist, bike and pedestrian advocate, professional mountain biker and cyclocross racer, coach, and Executive Director of a mountain bike advocacy nonprofit. Often times she was doing a few of those at any given time. As a pro mountain biker she focused her energy on 100-milers and multi-day stage racing, notching wins at the Breck Epic, Trans-Sylvania Epic, and Pisgah Stage Race and earning multiple National Ultra Endurance series overall titles. In December 2014 she started her new role as Executive Director of Mountain Bike the Tetons. It is perhaps unsurprising that we had lots to talk about. I spoke to Carey about her years as a professional racer, the appeal of endurance racing, her new life as a mountain bike advocate, the major access hurdles mountain bikers still face (and fat bikers are starting to face), and much more. Sonya Looney. Photo via Topeak Ergon. Cyclists love to grimace. It is, in part, because pain and suffering have been venerated in cycling culture to the point of fetishization. Entire clothing empires have been built on marketing the nobility of suffering on a bicycle. But it’s also because racing and riding hard just really, really hurt sometimes. From the pro peloton to local cat 4s, people tend to scowl and frown in race photos. Then there’s Sonya Looney. The professional endurance mountain biker is smiling so often in race photos it’s slightly disconcerting. She says it’s because she just has fun on the bike. I suspect endurance athletes have some sort of subconscious love of hardship. Either way, Looney has parlayed her endurance talents and smiles into a successful race career. Her specialty is 100 milers and multi-day mountain bike stage races. She’s notched podiums at the US National Championships, Breck Epic, Mongolia Bike Challenge, Trans Andes, BC Bike Race, and many other races around the world. I spoke to her about her foray into endurance racing, that smiling-while-racing thing, the business side of being a professional racer (and the need for a side business), adventuring around the world, and much more. Shannon Galpin mountain biking in Afghanistan. Photo by Deni Bechard. Most cyclists would agree that the bicycle is far more than the sum of its parts. As a means of transportation it has implications for climate change, socioeconomics, equity. As a sport it is medicine for our mental and physical well being. As a culture it connects us to people far and wide. And though it touches so many facets of our lives and is an important tool for change, most of us in developed countries would stop short of saying that bicycling is revolutionary. In a country such as Afghanistan however, bicycling has the potential for revolutionary transformation. It is, as Shannon Galpin discovered, a metaphorical and literal vehicle for improving the lives of women and girls living in a country consistently ranked among the worst on women’s rights. Galpin first traveled to Afghanistan in 2008 as as founder and President of Mountain2Mountain, a nonprofit focused on women’s rights in conflict zones. Her work initially involved a wide array of arts and education projects. Then in 2009 she brought her mountain bike to the country, went for some rides, sparked the sort of conversations with locals she needed to have about why women weren’t allowed to bike, and found the new focal point for her mission. The intersection of bicycling and Afghani women’s rights was further solidified in 2012 when she met the newly-created women’s National Cycling Team. Now Galpin is working to support the team and use cycling as sport to shift the cultural taboos about women biking for transportation and fun. Along the way, she has written a memoir, helped produce a documentary, given TED talks, and continued advancing Mountain2Mountain’s mission. 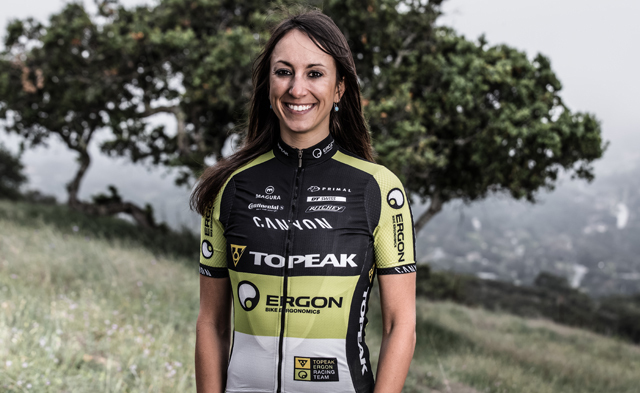 I spoke to Galpin about her work in Afghanistan, breaking norms as a woman on a bike, projects with Mountain2Mountain, the National Cycling Team, and much more. Mountain biking is awesome. Dogs are awesome. 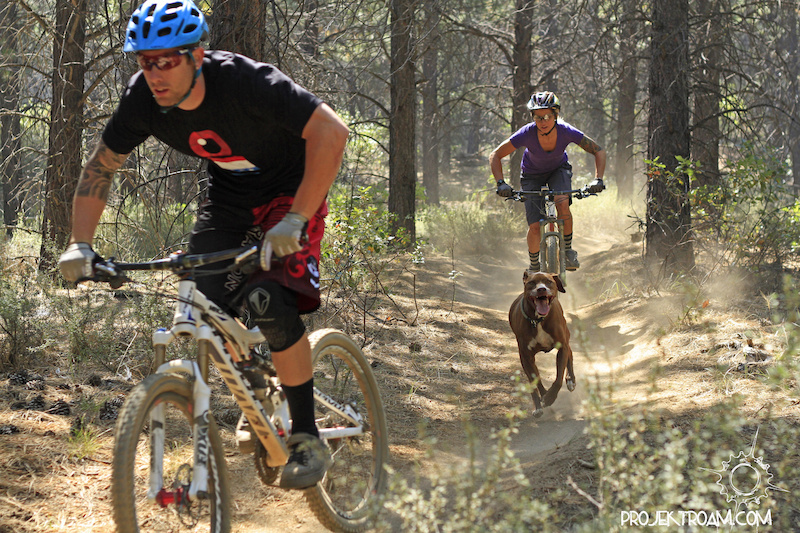 Ergo, mountain biking with dogs must be doubly awesome. That’s certainly the impression given by these two short videos of trail dogs who shred just as hard as their owners.